Call 402-902-4644 to schedule your first appointment. Hearing loss can occur so gradually that you may not notice it at first, but you may be able to correct the problem with hearing aids in Omaha, NE. While it may not be possible to reverse the damage, you can still hear clearly when you have a hearing aid that fits properly and works effectively. When it’s time to make this investment, trust Miracle-Ear®. Miracle-Ear is America’s most recognized brand of hearing aids, and we'll be focused on protecting your aural health while improving the quality of your hearing. While all of these warning signs may seem normal at times, they should not happen on a regular basis. The sooner you get help with your hearing loss, the quicker you can start listening in on your favorite sounds. Hearing loss cannot typically be reversed, but with early treatment, you may be able to train your ears so that your hearing will be more effective. Research also shows that hearing loss can lead to problems like dementia, depression, isolation, and even falling income levels. However, with options like GENIUS™ Technology, you can keep these problems at bay and start being active in social situations again. People throughout Omaha have relied on Miracle-Ear for help with mild to severe hearing loss. Our hearing center has several different models and styles for you to choose from, so it’s easy for you to hear with crystal clarity again. We also offer excellent service after the sale, and you’ll appreciate the three-year warranty* offered on most of our products. Give us a call today to schedule your appointment with Miracle-Ear, and see what we can do for you. I have 5 years of experience as a specialist. I have also worked for Miracle Ear for 5 years. National Board Certification in Hearing Instrument Sciences licensed in the State of Iowa and Nebraska. My favorite part is working with the patients and welcoming them into the Miracle Ear Family. 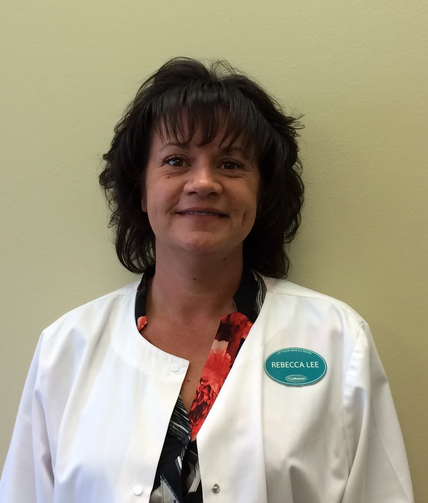 Betty has nine years' experience as a Hearing Instrument Specialist. Six of those years she has worked for Miracle-Ear. Betty has passed the Board Certification credentials test. She has a Hearing Instrument Specialist license for Nebraska and Iowa. She is also LMS certified and is the Vice President of the Nebraska Hearing Association. She is a recipient of the Rick Frasier Hearing Professional of the Year award. She has also received many team recognition awards for top level store and personal performance. Betty enjoys various areas of working with Miracle-Ear including the daily challenges, smiles from successful fittings and working with a supportive team. Misty has 3 years experience as a PCC and has worked For Miracle Ear since January 2014. Misty's favorite part of working at Miracle Ear is the team atmosphere.